Jeffrey Brown Comics: Merry Catmas! 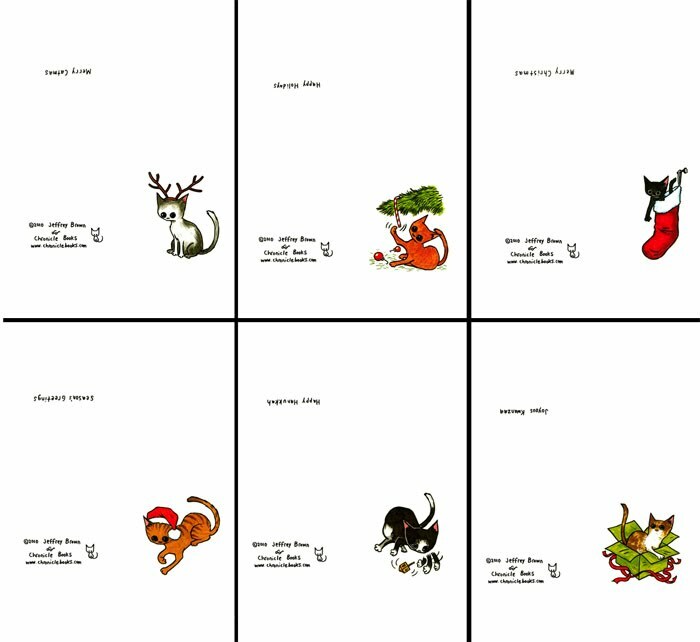 To promote my most recent cat book Cats Are Weird, I drew up these holiday cat cards. 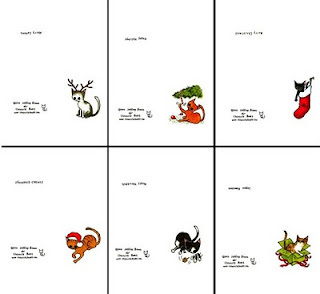 You can download a zip folder of all six to print out and mail until December 12 here. Feel free to share with friends! Thank you, Jeffrey - very generous of you. These are marvelous. Awesome. Your cats are extremely cute. I also dig how you represented so many different holidays (none of which I personally celebrate, but you've got me covered with "Season's Greetings"). I'll spread the word! Thank you! These are great, but Happy Hannakhat seems like a no-brainer! Happy Holidays Jeff!